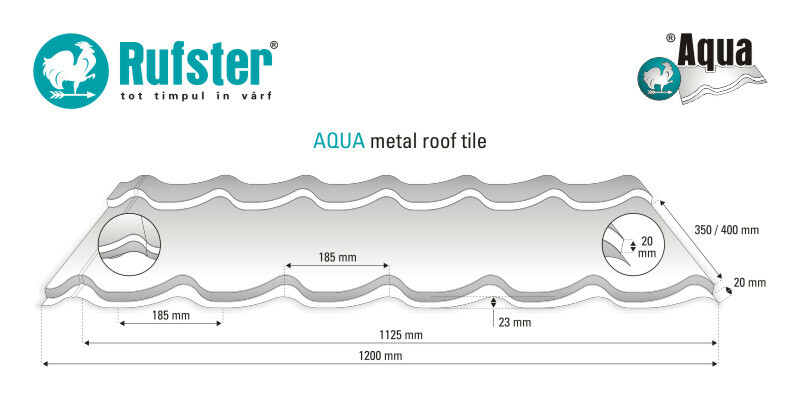 AQUA is the classic metal roof tile model, with the largest popularity and demand. 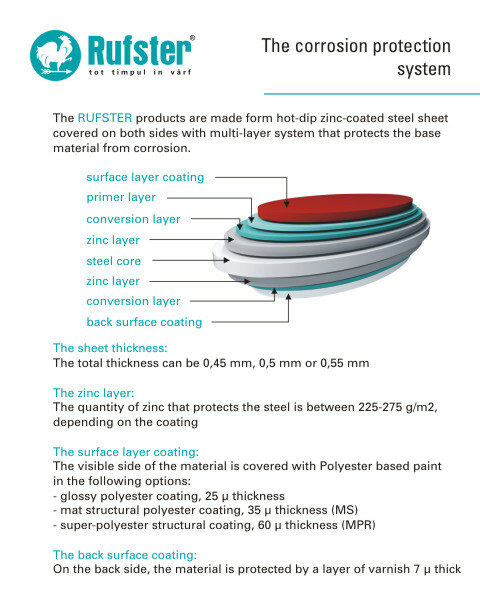 When combining the look of traditional roof tile with the resistance and efficiency of steel, the result can only be a roof profile that will always rise to meet every expectation. 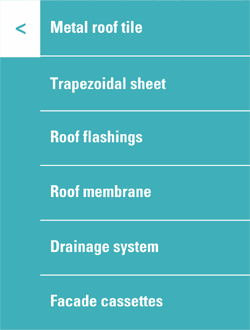 The AQUA profile is modern, has an enjoyable look, can be easily integrated in the architecture of many building styles, is very practical and easy to install. 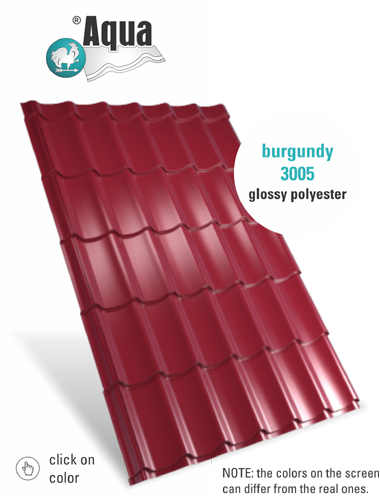 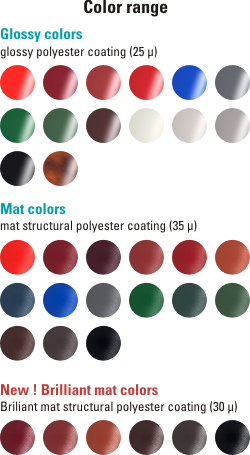 AQUA metal roof tile manufactured according to SR EN 14782:2006 with tolerances according to SR EN 508-1:2008.